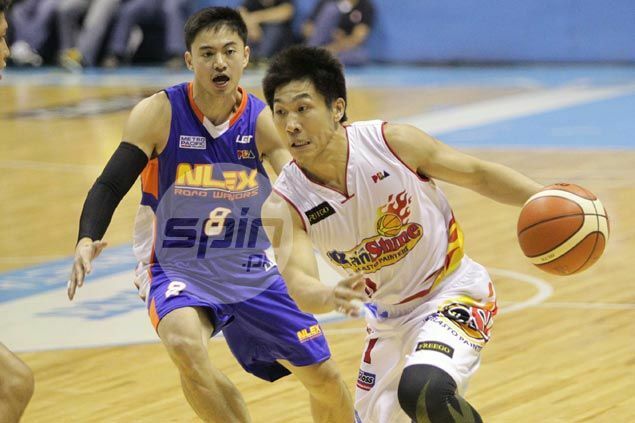 RAIN or Shine guard Ty Tang has announced his early retirement from the PBA, citing personal reasons as well as the need to focus on rhe family business. The seven-year pro out of De La Salle broke the news to Spin.ph on Tuesday, saying his abrupt decision was brought about by the need for him to focus on their businesses. "My family needs me more sa business namin. Baka maging unfair lang ako sa Rain or Shine kung mas magiging focused na ko outside of basketball," Tang told Spin.ph. "Personal and family reasons talaga that I had to be called to this situation." Tang, 30, said he also feels he is saying goodbye to the Elasto Painters at the right time, when coach Yeng Guiao is trying to rebuild a team that had reached the finals twice last season but each time fell short. "I think I am leaving the team on perfect situation, in time as coach Yeng (Guiao) is rebuilding our franchise," said Tang, adding he already informed Rain or Shine management of his decision prior to the rookie draft last Sunday. "Matagal ko tong pinag-isipan at I really decided on it, naisip ko tama rin 'yung timing kasi hindi ko madi-disrupt 'yung preparations nila. With his two other siblings, Tang is expected to take over from their parents the management of a company that is into trading and construction and is in direct partnership with Rain or Shine. "Hindi pa rin naman ako fully mawawala sa Rain or Shine, kasi business partners pa rin kami and for such a long time, partners kami, lalo na sa painting job business ko," said Tang, whose company also accepts painting jobs for high- and low-rise buildings nationwide. "Hopefully our partnership does not end with my playing career, magpapatuloy ito pati sa business side," added the former Dela Salle Green Archers hotshot. Tang also expressed his gratitude to management led by co-owners Terry Que and Raymund Yu for allowing him to opt out of a contract that won't expire until the end of the 2016 season. "Very thankful ako, kasi normally ang kontrata hindi mo naman pwede basta sabihin na, 'Terminate mo.' Very thankful ako na from their end, kahit nasa kanila 'yung decision to hold me, pinayagan nila ako," he said. "Yung seven years ko with them, ang dami kong values na natutunan. Not just sa aspect ng paglalaro, pati sa management style nila. Very welcoming. Sobrang happy ako na dito ko napunta sa Rain or Shine, my first and last team," he added. Tang's decision to retire should also explain the draft choices of Guiao, who went for guards Maverick Ahanmisi, Don Trollano and shooting guard Josan Nimes instead of the big men which the team initially targeted. "Mas maganda na gawin ko na to ngayon, kung gagawin ko, para di masayang ang preparations nila for the next season," said Tang, the 12th overall pick of the 2008 rookie draft. Meanwhile, Rain or Shine management sis still negotiating the contract renewal of Tang's good friend Chris Tiu, who has been offered a new two-year deal by the team.